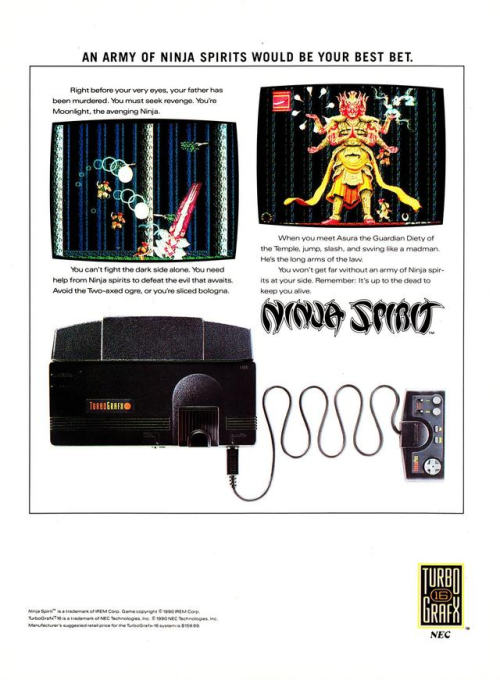 Ninja Spirit is a platform arcade game published by Irem in 1988. 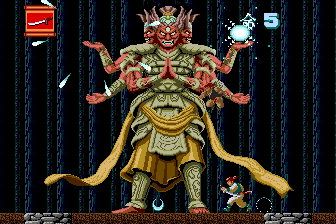 It was ported to a number of platforms but the most popular version and best port was probably the TurboGrafx-16 version. The game consists of seven stages with a boss at the end of each stage. As the ninja, you are seeking revenge for your father’s murder. 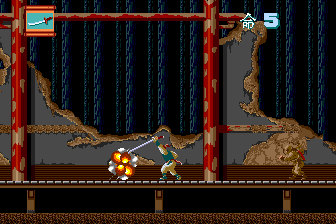 The ninja always has his Katana but other weapons and power-ups are available throughout the game. As far as platform games go you won’t find one much better than this, especially on the TurboGrafx-16. 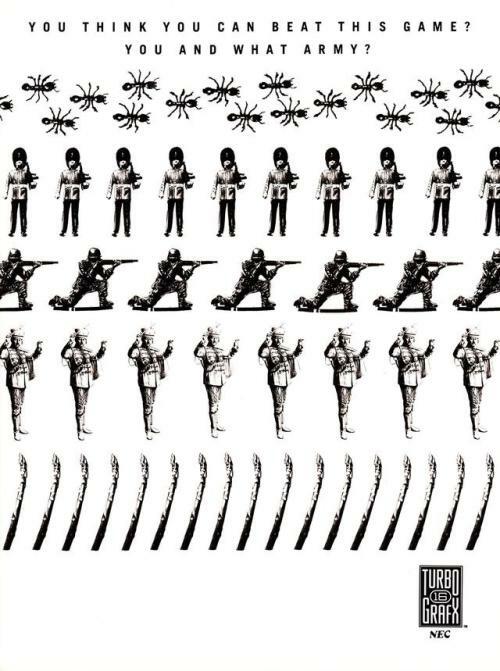 There were a lot of Ninja games in the late 1980s and early 1990s and this was possibly the best. EGM gave it a perfect 10 and a Game of the Year award and every review you’ll find is very positive. If you own a TurboGrafx-16 then this is a must have game. Some of the other versions were very good, including the Commodore 64 version, but none matched the near perfect arcade translation of the TurboGrafx-16 version. This isn’t a game that is hard to find for the TG16 but there are other options as well. 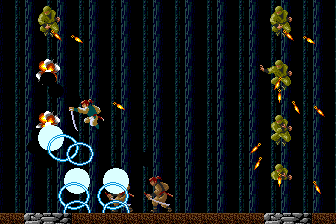 Ninja Spirit became available on the Wii’s Virtual Console in 2007 and again in 2013 and is still available for the Wii-U.